The Pacsafe Anti-Theft RFIDsafe V150 is a blocking, compact and lightweight organiser. The internal organisation keeps everything sorted like pens, foreign currency and cards to your itinerary and boarding pass. 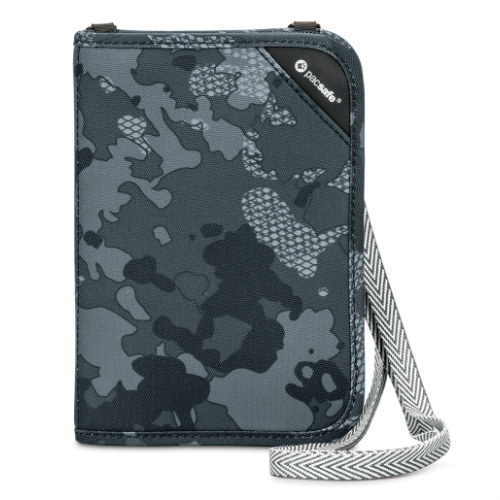 It helps in keeping your travel essentials safe, sound and right where you need it at all times. Pacsafe's Anti-Theft RFIDsafe V150 has 6 card slots including mesh slot, detachable and adjustable cross body strap and outer zippered coin pocket. It also includes pen holder, key clip, zippered closure and note slot. Strap Length : 25.59" - 50.39"
The Anti-Theft RFID Blocking Compact Organiser has many exciting features for users of all types. You can extend the lifetime of your Anti-Theft RFID Blocking Compact Organiser with the purchase of a FactoryOutletStore Factory Protection Plan. 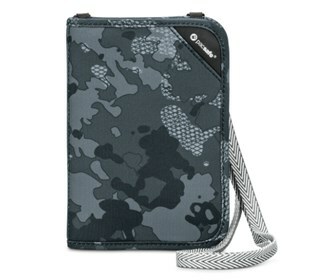 See the Anti-Theft RFID Blocking Compact Organiser gallery images above for more product views. The Anti-Theft RFID Blocking Compact Organiser is sold as a Brand New Unopened Item.